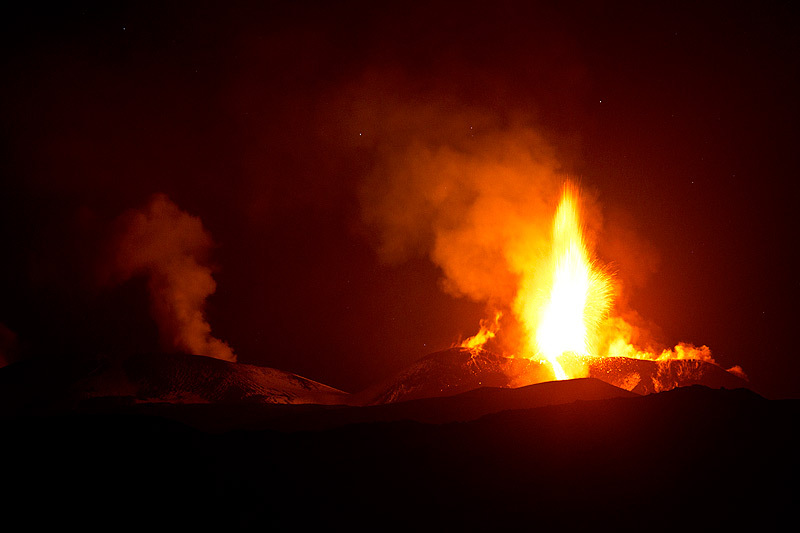 After a few months of showing a little activity yesterday Etna erupted again. At around 18:00 the volcanic tremor sharply increased, signaling the start of large strombolian activity from a new vent that has opened between the old and new cone of the After about half an hour a small lava flow started from this new vent. The direction of the lava flow is towards the southwest and at 11:00 this morning it had flowed down slowly to an elevation of about 2850m ASL. Ash fall has been reported from villages to the E/NE (Linguaglossa, Zafferana etc). 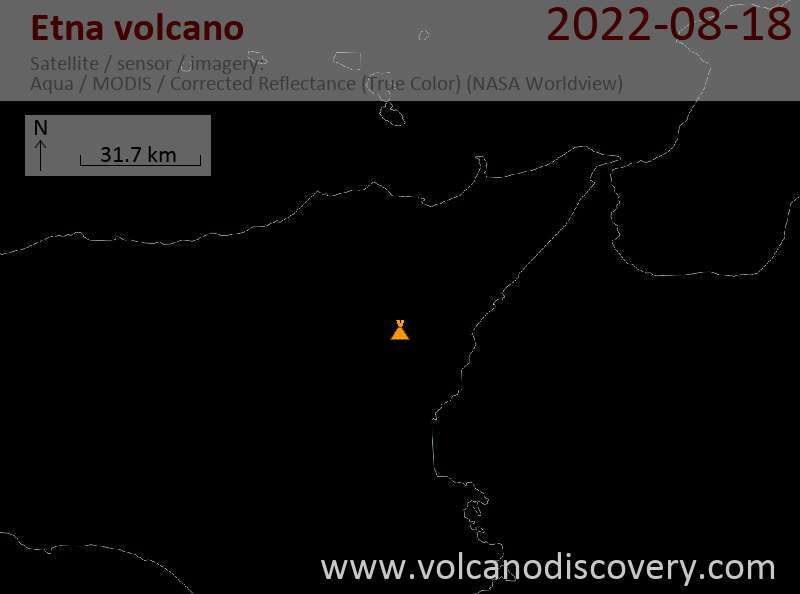 The webcams show that strombolian explosions are still occuring, the lava flow also appears not to have stopped and the tremor remains high.